Earlier, Uttarakhand High Court had directed the hospital to hand over GD Agarwal's body to Matri Sadan, the ashram he was associated with. GD Agarwal had been campaigning for the cleanliness of Ganga for several years. The Supreme Court on Friday stayed an Uttarakhand High Court order which directed the Rishikesh AIIMS to hand over the body of environmentalist GD Agarwal to an ashram in Haridwar. Earlier in the day, the high court had directed the hospital to hand over his body to Matri Sadan, the ashram he was associated with, after embalming it to enable his followers to pay their last respects and perform religious ceremonies. 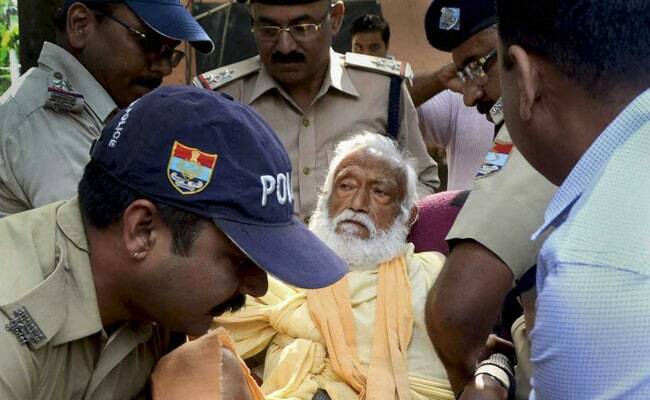 Also known as Swami Gyanswaroop Sanand, GD Agarwal died at the All India Institute of Medical Sciences (AIIMS) in Rishikesh on October 11 after fasting for 111 days, demanding measures from the Centre to keep the Ganga clean and free-flowing. His "spiritual guru" Swami Avimukteshwaranand has laid claim on his body while the government hospital says the activist had pledged his organs for medical research at the institute. A Supreme Court bench comprising Chief Justice Ranjan Gogoi and Justice MB Lokur said the high court order, if implemented, will make the organs of the deceased unfit for transplantation. "In view of the above, we deem it proper to stay the order of the High Court dated October 26, 2018...until further orders," the bench said. The high court's order came on a PIL that Swami Sanand's body had not been handed over to his followers for last rites. The court had also ordered that the body shall be handed back to the Rishikesh AIIMS after 72 hours. "The Senior Superintendents of Police, Dehradun and Haridwar are directed to make all arrangements for handing over the body of Swami Sanand to Matri Sadan and for returning the same to AIIMS Rishikesh, Dehradun, by deploying sufficient police force," the high court had said. "We make it clear by way of abundant precaution that no political party shall derive political mileage on the basis of this order," it said. The hospital moved the Supreme Court against the order.